It made me smile, because in the past week I have had many moments that felt a little like that. It was the week of the Historical Notation Bootcamp, an intensive four-day crash course on the history of music writing in the West that I co-teach with Andrew Hicks. This was our third year of running the program, which is funded by the Beinecke Library, the Sidney Cox Library of Music and Dance at Cornell, and the music departments of both institutions; it furnished me with a third annual mid-August occasion to stop and wonder in gratitude at the drive and dedication, curiosity and patience, of the graduate students and colleagues who show up. There are practical reasons why we have to keep the course short and intense: students come from all over the country, and every extra day is an extra day of lodging, meals, and so forth. (The course is free and we provide some support for travel for students whose home institutions cannot help, but lodging and most meals are the responsibility of the participants.) It’s also late August: a time when both instructors and students are trying to fit in a number of commitments, and when every day counts. There are advantages to doing things in such a compact way: moving from neumes to semiminims in so short a space tends to highlight the links between the various systems we present and it makes each phase easier to explain than it would be on its own terms. But lecturing for that long and learning that intensely are both endurance sports. The fact that I started the week with a back injury didn’t help: I was scrambling to make myself feel better in various ways even as the course was getting up and running, and it made me intensely aware of the bodies in the room as well as the brains in them. So we stood up to stretch, did vocal warm-ups, and of course took coffee breaks. We could have done more moving around, but it was a start. And sneaking in a chiropractor’s appointment over a lunch break was definitely the best idea I had all week. Sometimes I felt a little sorry for all of us: like while we were in the weeds, learning to sing from sine littera Franconian notation, or working through propriety and perfection from the ground up. But much of the time I was elated. For me the bootcamp represents learning and teaching at their purest: everyone who showed up wanted to learn the materials, and we were there because we wanted to teach. No grades, no evaluations, and no judgment: just people sitting in a room asking questions, answering questions, reading, singing, thinking. By the end of the four days our twenty-two participants, some of whom had no prior experience of any kind with historical notations, could sing from a huge range of sources, from chant to Machaut, and beyond. And my back was feeling better. In the U.S. few programs currently offer historical notation classes—I never had an opportunity to take one. (The North American scene is the one I’m plugged in to; my impression is that things are better overseas: in Basel I believe notation has always been front-and-center, and at Oxford both Margaret Bent and Elizabeth Eva Leach have created resources and spaces to promote and nurture notational competency.) But every year that we have run the HNB we have had about twice as many applicants as we could accommodate. This statistic is consistent with my overall impression that the field’s interest in this material is growing after a period of dormancy. It’s a great time to think about the history of notation, not least because we have better access to the sources, thanks to library digitization efforts and to DIAMM, than ever before. Furthermore, rising interest in media history invites us to consider notation as a technology and a cultural product, far beyond whatever we might need to know for making or understanding editions. We plan to run the HNB again next year, probably in Ithaca; look for a call for applications in due course. The following year we’ll be back at Yale. The program’s alumni now number over 60, and by 2020 will be over 100 strong. I hope that eventually our bootcamp will make itself obsolete. In the meantime, interested parties should note that Karen Desmond is teaching a notation seminar at Brandeis this Fall, for which students from a number of area institutions are eligible to enroll. Performers can also learn notation from Karen Cook while working on early repertories during the programs put on by the Amherst Early Music festival. This entry was posted in Uncategorized and tagged historical notation by Anna Zayaruznaya. Bookmark the permalink. 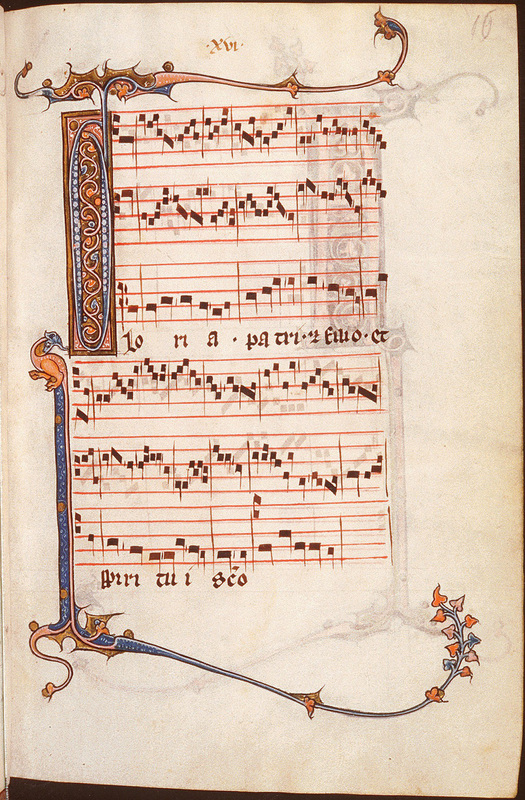 For those interested in Renaissance white notation, Dennis Slavin and Ruth DeFord run a lively notation reading group (with potluck wine and snacks) at the CUNY Graduate Center every other Tuesday evening! Email rdeford@post.harvard.edu to be added to their mailing list! Speaking of the gluteus medius, a little more than a year ago I injured its neighbor, the piriformis, which means “pear-shaped.” Reminded me of Satie and “Trois morçeaux en forme de poire.” There are many ways to connect musicology and Sitzfleisch!